Do you enjoy watching informative documentaries? If so, be sure to check out this freebie. 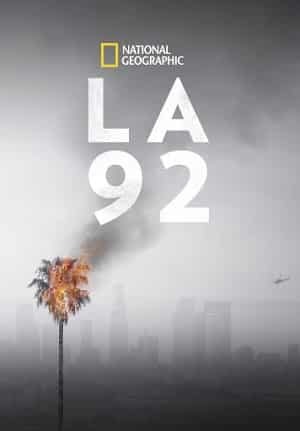 Don’t miss out on your chance to download your own copy of the National Geographic documentary, LA 92, for FREE on Google Play! This documentary focuses on the 1992 beating of Rodney King and the riots in Los Angeles that followed after. This documentary is comprised of rare footage of the riots that most people have never seen before. If you are interested in downloading this special FREE documentary, do it soon! This freebie will not likely be available for very long. FREE Digital Download Of The Karate Kid! For a limited time, you can download a digital copy of the 1984 hit movie, The Karate Kid, for FREE from Microsoft! Downloading your FREE copy of the movie is easy. Just visit the Microsoft website here and click on the blue ‘Get it now’ tab near the bottom of the page. Then, you will be able to download the full copy of the movie! You can view the downloaded movie on a variety of supported devices. Your access to this FREE movie will last as long as you keep the movie file on your computer or mobile device. This freebie offer will most likely not last long. So, get it while you still can! 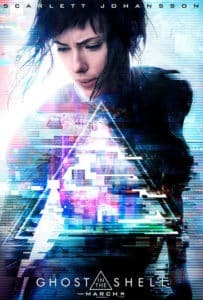 Right now, if you sign up here for a FREE 14 day trial of CrunchyRoll, you can get FREE Fandango tickets to see Ghosts in the Shell valued at up to $15! CrunchyRoll is a video streaming distributor with a focus on media that is East Asian (such as manga and anime). You can try it out for FREE for a limited time. If you find that you like having a CrunchyRoll account, you can pay for a subscription. 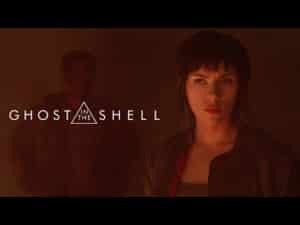 In addition to your FREE trial, you will also receive the FREE ticket to see Ghosts in the Shell starring Scarlett Johannson. Do you enjoy watching your favorite movies and television shows from your home at your convenience? 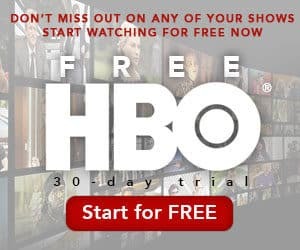 If you do, you have to check out this incredible offer for a 30 day HBO FREE trial! For a limited time, you can sign up to receive an HBO trial. When you do, you will gain access to all the great shows and movies available on HBO for an entire month. Enrolling in your FREE trial HBO is so simple. First, you must enter a valid email address. Then, you need to complete the registration form by entering your name, mailing address, and some additional information about yourself. Once you have submitted all the required forms, you will enroll in your HBO FREE trial for an entire month. Then, you will be able to begin watching all your favorite movies and television shows that are on HBO. Please note, you must be at least 18 years of age or older to take advantage of this special freebie offer. You must also be a resident of the United States in order to qualify for this offer. Hurry, this amazing HBO freebie will not last long! Get it while you still can. Happy HBO watching! You may be able to catch a FREE screening of the new Ghost in the Shell movie this Tuesday, February 28! Free movie screening offers will be available in select theaters throughout the United States. To find a screening in your area, visit this website. Then, you can claim your tickets to see Ghost in The Shell! Hurry, these freebie ticket offers tend to disappear quickly. 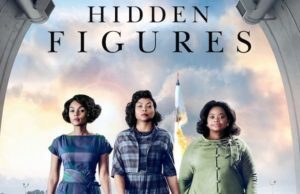 Catch A FREE Screening Of Hidden Figures Movie! In select cities, you can get currently get FREE tickets to see the Hidden Figures movie! These special offers for a FREE movie screening tend to disappear quickly due to high demand, so be sure to claim your tickets as soon as you can. Remember, this freebie offer is only available in select cities. Showing times and dates may vary based on location. 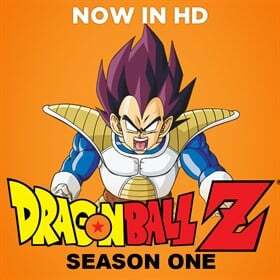 Download Season 1 Of Dragon Ball Z For FREE For Limited Time! Season 1 Dragon Ball Z Is FREE! Right now, you can download the first season of Dragon Ball Z for FREE from Microsoft video. With this freebie offer, you will get the complete first season of this anime released back in 1996! This anime classic is in English, so you do not have to worry about not understanding the language. To get your FREE season of this show, just click on the blue ‘Buy Season’ tab near the bottom of this Microsoft web page. The price listed above it should be ‘Free’. This series can be viewed on Microsoft supported devices such as Windows 8, X Box, Windows Phone 8, and more. With this freebie you will receive 39 episodes of Dragon Ball Z that are 24 minutes in length. That is over 16 hours of FREE anime! You can watch the episodes both online and offline. This version of the show is in high definition, so the quality of the visuals are great! If purchase separately, each episode of the show would cost $0.99. So, this really is an incredible deal! Be sure to take advantage of this awesome freebie offer before it disappears. hot deals like these do not typically stick around for very long! Enjoy your FREE season of Dragon Ball Z! 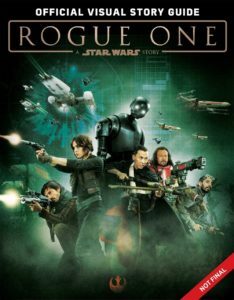 Rogue One Stars Wars: FREE Digital Magazine Offer! Do you know someone who is a huge Star Wars fan? If so, be sure to check out this special offer (and share it with that person or with those people!) for a FREE Rogue One Star Wars digital magazine. This digital magazine typically sells for $9.99, but if you link your Disney Movie Rewards account to your Regal Cinemas Crown Club account you can get this freebie! This magazine is full of behind the scenes movie info, photos from the set and stills from the film, and exclusive extras about the new Rogue One Star Wars movie. After your link your Disney Movie Rewards account to your Regal Cinemas Crown Club, you will receive an email indicating the next steps to getting your freebie. It may take up to 24 hours for you to receive the email containing directions for the next steps to redeeming your freebie. If you do not already have a Disney Movie Rewards account or a Regal Cinemas Crown Club, you can sign up for one or both for FREE. Please note, this special freebie offer is only valid in the United States. You must take advantage of this special free digital magazine offer on or before January 19, 2017. Halloween will be here before we know it, and now is the best time to creep yourself out by watching FREE horror movies online! Yes, you read that correctly. You can watch full horror movies right from a website called Full Horror. These public domain films can be watched from your computer in the comfort of your own home. You can choose from movies such as Day of the Dead, Grave of the Vampire, The Giant Gila Monster, The Killer Shrews, Creature from the Haunted Sea, Screaming Skull, and much more. Watching these super spooky films could not be easier. All you have to do is click on the name of the film you would like to watch. The movie of your choice should load up on the website. Then, all you need to do is kick back and enjoy your FREE movie! The films are categorized by themes such as Zombie, Monsters and Creatures, Sci-Fi, and Horror and Thrillers. These movies would make a great feature at your Halloween party. Watch them with your family for a spooktacular family movie night! You could even create some creepy Halloween snacks and treats to enjoy while you watch these FREE horror movies online. Hey Marvel fans, you will NOT want to miss out on this incredible opportunity to see a mini pre-screening of Doctor Strange! This special offer is available on Monday, October 10 at participating IMAX 3D theaters. This special offer will be shown at 7:00 PM. As part of this special screening, you will get to view 15 minutes of the film before it hits theaters on Friday, November 4. 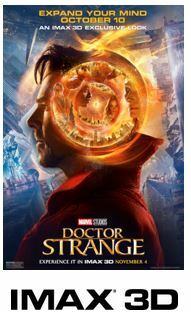 If you are able to attend this special pre-screening, you will also receive a FREE Doctor Strange poster just for attending! There will be a limited number of the collectible, limited edition FREE posters, so try to arrive as early as possible to the pre-screening event to get your poster. To find a participating theater near you, choose your local from the drop down list on the right side of the website. You will be able to see if spots are still available for the special screening. Please note, this early mini screening of Doctor Strange is only available in select locations through out the United States and Canada. You can claim up to 2 tickets for the pre-screening special. If you want to attend, get your FREE tickets while they are still available! And be sure to mark your calendar for the theater debut on November 4.